We all are familiar with Text Messaging application, for sending and receiving text messages. 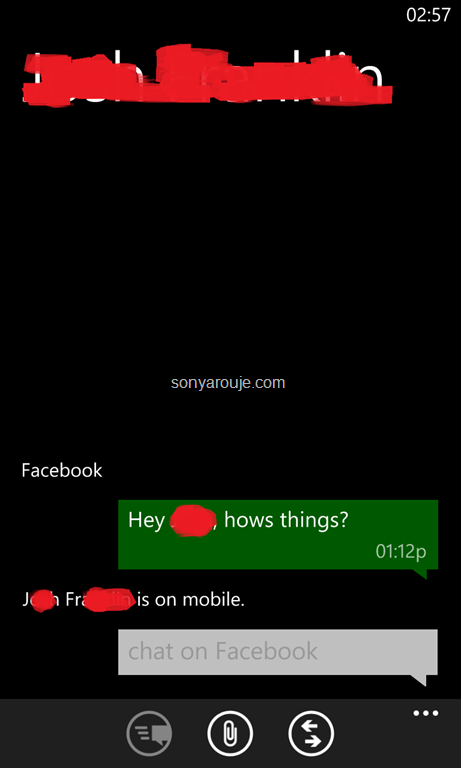 But the messaging app introduced in Windows phone is more than just sending or receiving SMS, it’s integrated with Messenger and Facebook. It’s a big shift from the conventional messaging app we see in other smart phones. 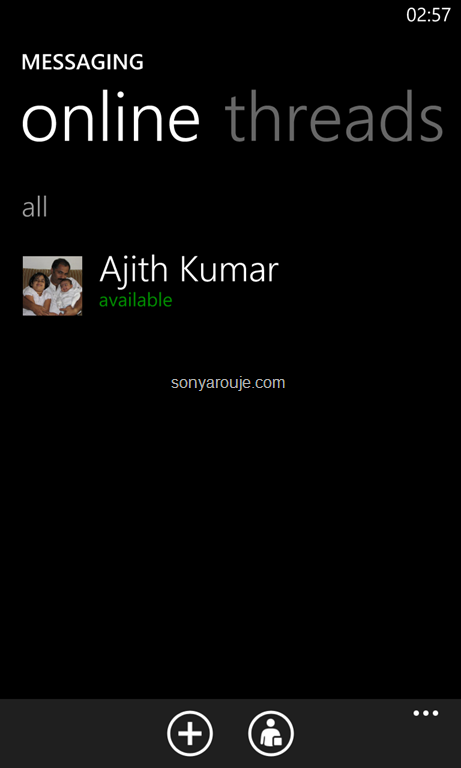 In other smart phones we need dedicated app for Facebook or messenger chat. iPhone has this chat feature but you have to manually add the FB chat or gtalk service to contact by contact. I think it’s cumbersome for me might not for others. So how do we manage communications happened via texting or chat? The threads tab in Messaging will show the aggregate of messages sent or received via SMS, Facebook or Messenger chat of a contact. In each message thread, we can switch to chat or texting before sending the message. Say there is a FB chat thread with my wife and I wanted to send her a SMS, I can easily switch to texting using the switch button at the bottom of the thread. It’s a wonderful feature, I can see all the communication between my friend via Facebook chat or texting in the same location. 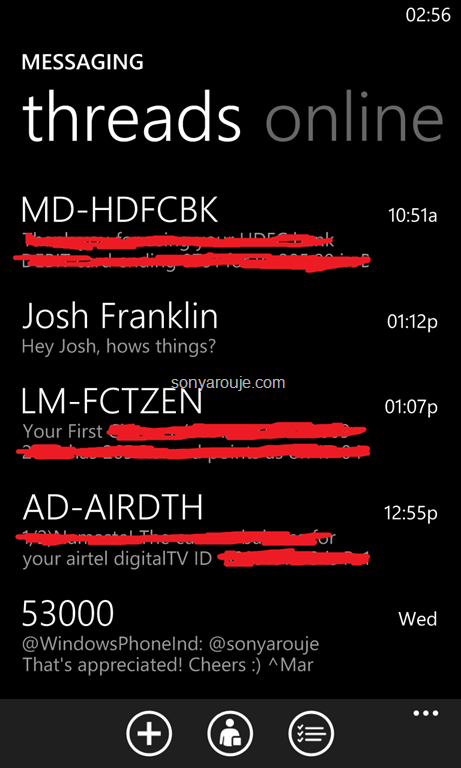 I don’t need to switch between a chat app and messaging to see all the communications. 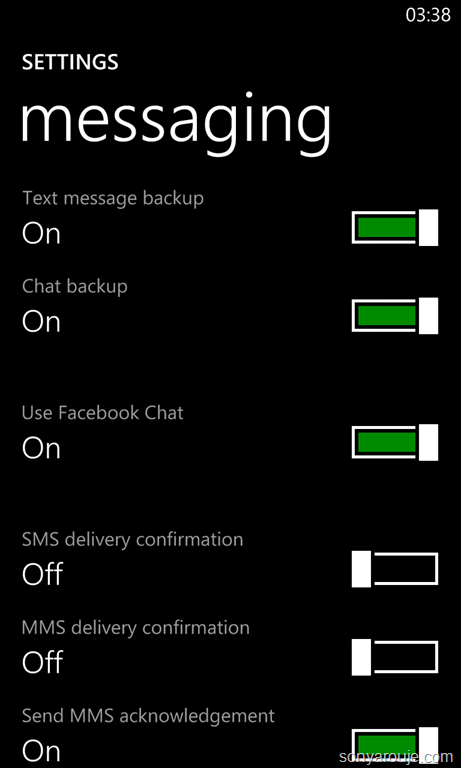 To enable Facebook chatting, we need to enable that in the settings window, by default it’s turned off. It seems Messaging app is kind of a pluggable architecture and Microsoft can add more clients for well known chat apps like gtalk or skype easily. Let’s hope in future via an update we will get more chat clients.